It’s a hot topic these days. 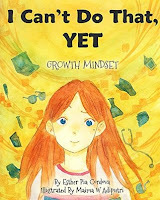 Many kids today, however, don’t know how to have a growth mindset. For a variety of reasons a child might be trapped in a fixed, I-can’t-do-it attitude. 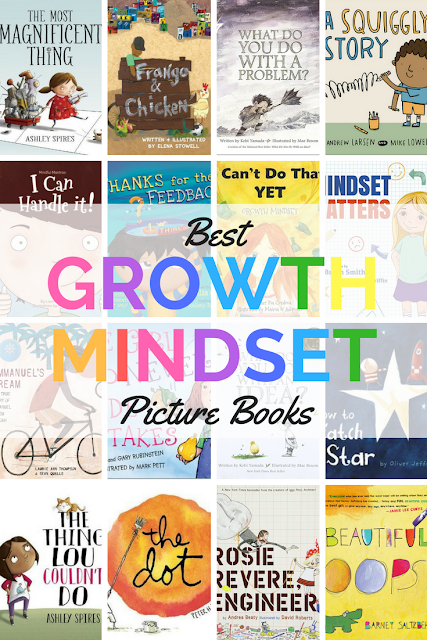 Using picture books is a great way to model ideas, strategies, and tools on how to develop a growth oriented mindset, one that allows students to work through their struggles and to not give up when things get difficult. 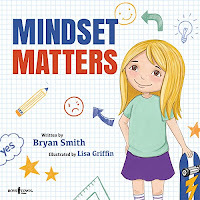 The books below range from on-the-nose examples of what to do and what not to do, extended metaphors, true stories of perseverance over difficulties and adversity, and mantras or phrases students can adopted into their own vocabulary to develop a growth mindset. 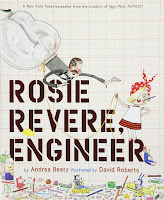 A girl has the most magnificent idea, but when she tries to make it, the pieces just don't come together. Try as she might--and she does try and try and try again--the most magnificent thing will just not become magnificent like she wants. 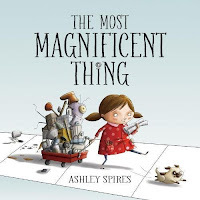 Even her assistant, a very adorable dog, knows it's just not quite magnificent enough yet. Her frustration mounts with each failed attempt. How can her assistant help her? A very important lesson is wrapped in a sweet story with a cute dog: hard work and perseverance pay off, but sometimes it's important to take a step back and gain a fresh perspective. 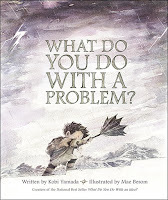 A good read for teaching grit, problem solving, and managing frustration. A child has a problem and it just won’t go away. As he avoids it and ignores it, his problem just becomes bigger and bigger. Finally, he decides that even though it might be hard, he should face the problem, and he realizes the problems can turn into something completely different. *Bonus Books: What to Do With an Idea? & What to Do With a Chance? 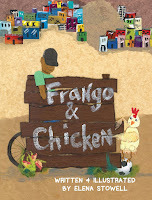 How do you write a story if you don't know how to write words? With a little advice from his big sister, a boy sets out to do just that - write a story even if he doesn't know how to spell whole words. 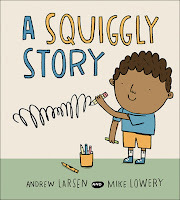 Within this boy's experience crafting his squiggly story, Larsen takes us through the writing process, and reminds us that, "It's your story. You're the boss." A reminder good reminder that when you want to do something, sometimes you simply need to start. Beatrice Bottomwell has never made a mistake! 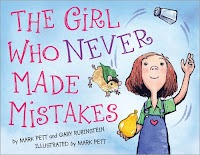 She’s so perfect that she’s known around town as “The Girl Who Never Makes Mistakes.” So what happens when Beatrice makes her first, and very public, mistake? Vashti is exasperated because she just can’t draw. 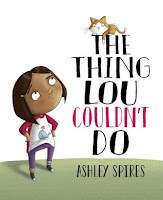 Her art teacher tells her to, “Just makes a mark and see where it takes you.” Though Vashti angrily makes a mark to be done, it actually beings a surprisingly and creative journey for Vashti that shows we can do more than we think we can. A boy loves stars so much, he wants to catch one. But how can you catch a star? 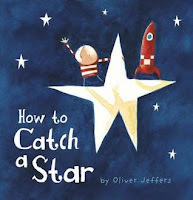 He tries several ways to catch a star, but to no avail. And just when he feels like giving up, he learns that things aren’t always what we expect. 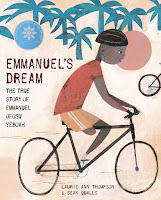 Based on a true story, Emmanuel reaches for his dreams despite being born with a deformed leg. He hopped to school (over two miles each way), played soccer, and became a cyclist. Emmanuel’s message is clear: disability is not inability. 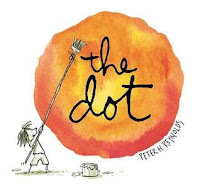 A great, true story about triumphing over adversity. 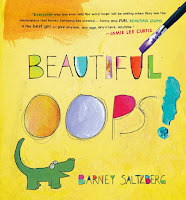 Beautiful Oops! can be summed up simply as it’s not only okay to make mistakes, but mistakes are actually opportunities to be creative and make something beautiful. Amelia is up for anything! That is, as long as there aren’t any bumps along the way. Skateboarding? Oh yeah! (Until she falls off.) Building a swing set? Sounds like fun! (Until she whacks her thumb). 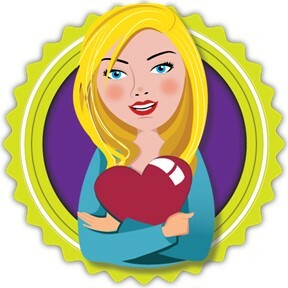 If there is any small set-back, Amelia is done and worries that she’s a failure. But with help from her dad and self-reflection, Amelia realizes that she needs a “gonna get it done” mindset. Success doesn’t mean never having difficulties. Success can mean many different things. As RJ goes through is day, he gets different kinds of feedback, and he’s not sure what to do with it. When hanging out with his friends, they compliment him. What do you do with a compliment? When his teachers and parents tell him that he does many things well, but that he needs to work on a few things, he wants to argue and make excuses. 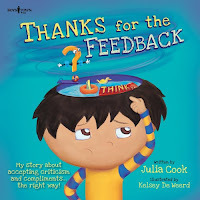 As the story continues, RJ learns how to respond to all types of feedback: how to accept and grow from both positive and negative comments. 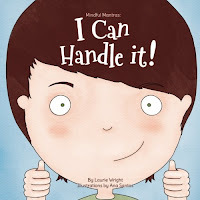 Perfect for giving kids the tool of positive self-talk to help them handle difficulties in life.